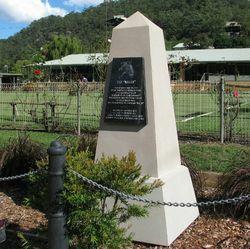 A monument commemorates those from Wisemans Ferry and the MacDonald Valley who served in the Light Horse during World War one, and their horses known as the "Walers". 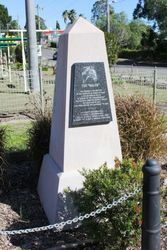 Approximately 140,000 horses (only one of which was allowed back into Australia) served in the Desert Campaign in World War One. 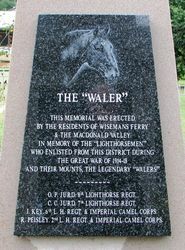 In Memory Of The "Lighthorsemen"
And Their Mounts, The Legendary "Walers"